Ashland University hopes that reporters, editors and producers will use the Ashland University News Center website as a resource for reporting needs and story ideas. Pages of particular interest to journalists include faculty experts list, fast facts, upcoming events and recent news releases. Beautiful 135-acre campus located midway between Cleveland and Columbus, Ohio, near Interstate 71. Ranked in the Top 200 National Universities by U.S. News and World Report. Undergraduate enrollment of 2,280 students, while total enrollment, including graduate programs and off-campus centers, is nearly 6,000. Graduate programs in business, education, theology, American history and government, and fine arts in creative writing. On June 28, 1877, a town meeting was held in Ashland, Ohio, where the citizens of Ashland were to consider a proposal from members of the German Baptist Brethren Church to establish an institution of higher education. The Ashland Press reported that the citizens were promised the college would locate there if their city would raise $10,000. The church and community fund raising campaign proved to be a success and on Feb. 17, 1878, a meeting was held to add up their campaign funds and make final plans. The success of the campaign was announced, the College was chartered on Feb. 20 and a church-related, co-educational institution was established. In April of 1878, the board of trustees decided to purchase the “most desirable plot in town - 28 acres on the hill.” The first buildings to be constructed were Founders Hall and Allen Hall, constructed from bricks made on the site. Classes opened at Ashland College on Sept. 17, 1879, with somewhere around 60 students and eight faculty members. The new institution grew slowly during its first few decades, but enrollment reached the 200 mark shortly after the turn of the century. By the 1950s, the College had added many new programs of study and experienced rapid growth from about 300 students to more than 2,500 in 1970. 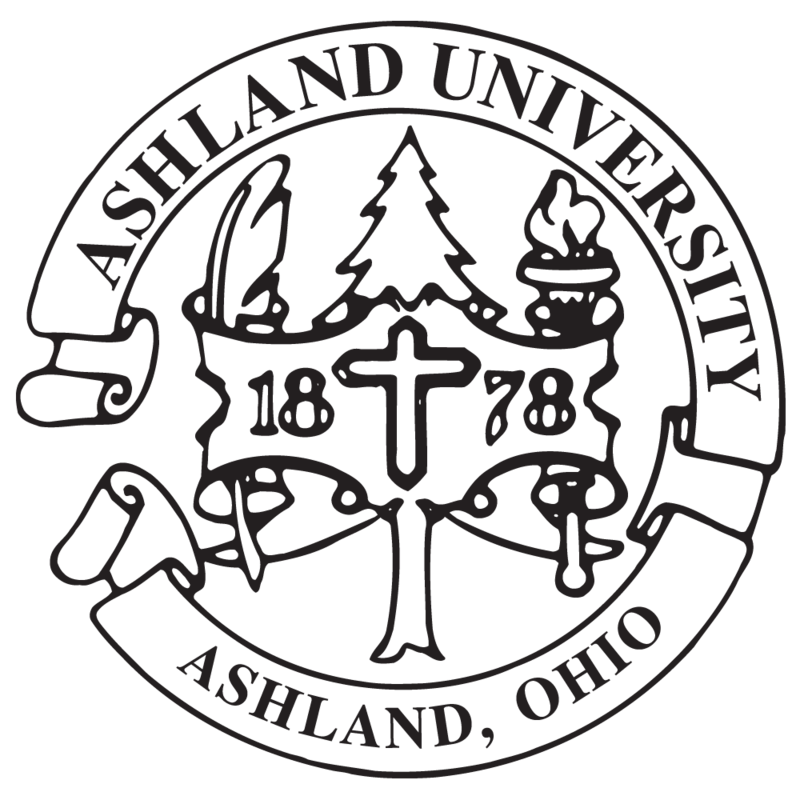 By 1972, Ashland faced a financial crisis as a result of a decline in enrollment and stagnating economy. But shortly after this, several new programs were created and a number of off-campus centers were developed. In 1988, the North Central Association had renewed its accreditation of Ashland’s educational programs, and it was a time of renewal for the college. Enrollment grew by leaps and bounds, a campus beautification was begun and the future looked very bright. In 1989, college officials decided to change the name of the institution to Ashland University. This change to university status reflected more accurately what the institution had become, with total student enrollment around the 5,600 mark and almost evenly divided between graduate and undergraduate students. Progress continued during the 1990s and 2000s with the construction of several new academic buildings, a new Recreation Center, Student Center and Athletic Complex, and the expansion of centers in Columbus and Massillon/Stark. In addition, in 2010, the University acquired MedCentral Health System’s College of Nursing in Mansfield and constructed 50,000-square-foot academic and nursing building on the University’s Balgreen Campus in Mansfield. This facility opened in fall of 2012. Today, Ashland University has grown to nearly 6,000 total students. The University continues to value the individual student and offers a unique educational experience that combines the challenge of strong, applied academic programs with a faculty and staff who build nurturing relationships with students. Seventh largest homebuilder in the U.S.
seven men who participated in the discovery of Pluto. in 1943 was honored with the prestigious Sullivan Award.